Sunrise festival is celebration in england.This is a music festival.This year sunrise festival is celebration in june 21 to24 2012.a tantalising taste of unique musical collaborations & twisted circus sounds; of foot stomping revellry and lyrical genius amidst hidden venues and thriving hives of inspiration and foolery! And of the other side of Sunrise - industrious craftsfolk, fringe thinkers, great wisdom teachers, sacred singers and illustrious visionary artists. A powerful and precious mix... a very very Sunrise mix... ‘Another World is Possible'. Now in its 7th year, Sunrise is spread out across 6 arenas and 35 venues, which in their words, "All meld magically into a bliss-filled and truly sustainable - nay, Thriving - alternative reality, the best nights out you can imagine from Cocktail Lounges to Psy Trance stomping grounds and enough inspiration to carry you through the rest of the year!" 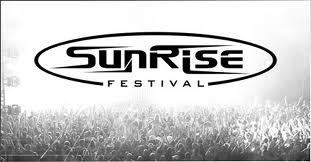 Headlining Sunrise 2012 is epic super group The Imagined Village, one of the most exciting and unusual collaborations of the last decade. The all-star lineup features Waterson Carthy legends Martin and his daughter Eliza Carthy; Simon Emmerson and Johnny Kalsi of Afro-Celt Soundsystem and Transglobal underground; and Andy Gangadeen and Simon Richmond of cult group The Bays plus Jackie Oates, winner of the BBC Folk Award for best newcomer. How To Observe Ashadi Ekadashi Vrat? Population Connection - "World Population"
What is National Doctors Day?